Leverage Trumba’s mobile functionality to increase your customer engagement. 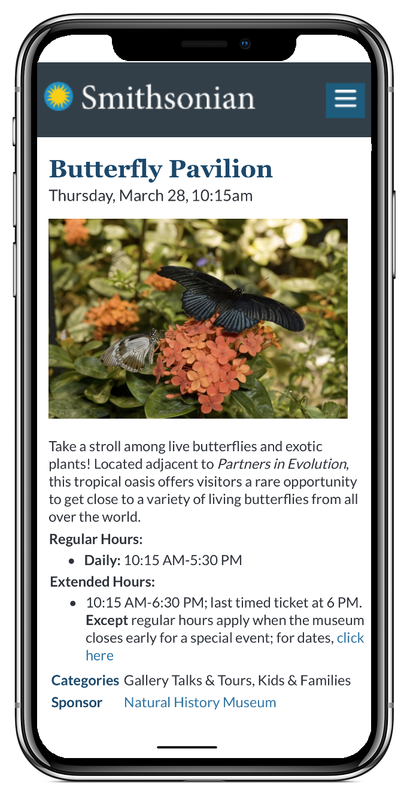 Trumba’s mobile calendar views and easy integration with native mobile apps help you reach your audience wherever they are, on any device, providing fast mobile access to up-to-date event information. 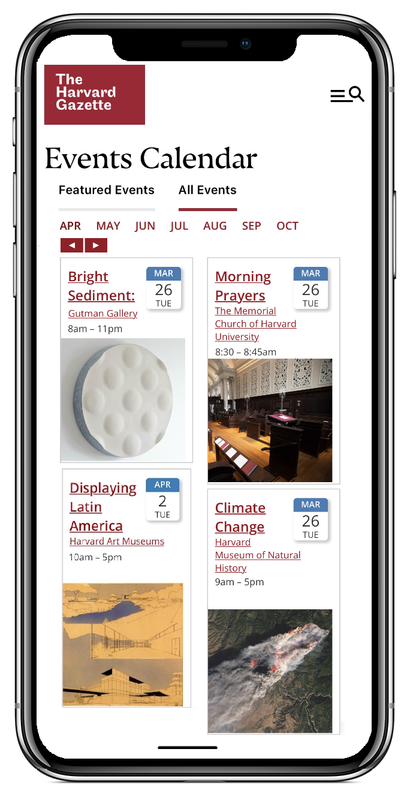 Trumba calendar views are mobile friendly, and don't require you to publish a separate mobile-only set of events. With Trumba's widget technology, you have broad control over the placement and behavior of the calendars and controls in your mobile responsive website. Trumba event actions and subscription windows are mobile responsive. You can customize both event detail views and event actions pages for mobile display. 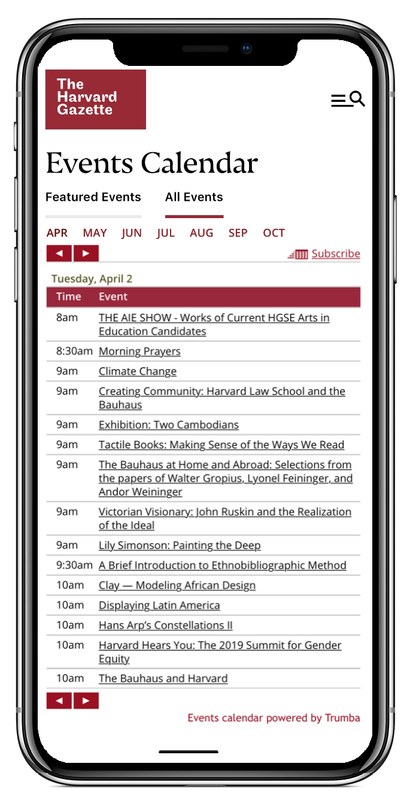 Your customers can download events displayed on mobile devices to their personal calendars, and much more. You can include your Trumba events in a native mobile app that your customers download to mobile devices. 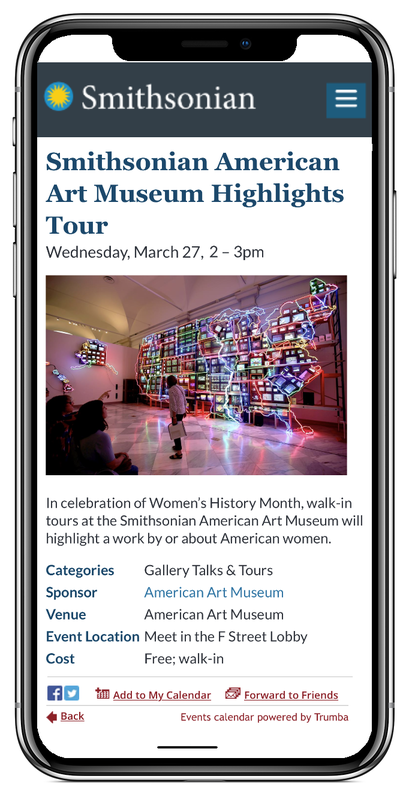 Whether strictly a calendar app or part of a larger mobile app, integrating Trumba event data ensures your audience has current event information wherever they are. You can use custom fields and filtering just like for your web calendars. Trumba’s data feeds break down event data, giving you and your app developers flexibility to filter which events and fields are displayed.